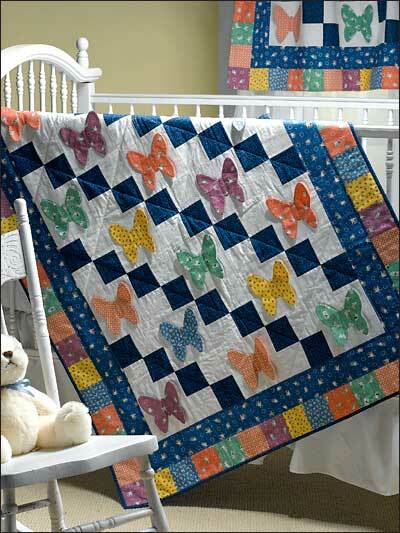 This Butterflies Are Free Crib Quilt designed by Judith Sandstrom of FreePatterns, The Pattern is available for free. Quilt a fun baby blanket with 3-D butterflies using this free sewing pattern. Four-Patch blocks alternate with Butterfly blocks, making a design that perfectly suits a sweet baby girl.